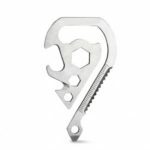 This Multi-functional Tactical Skull EDC Tool is made of premium stainless steel, quite sturdy and durable, perfect for outdoor camping, hiking, mountain climbing, sightseeing or other outdoor activities, etc. 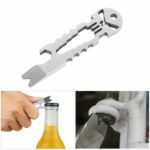 Skeleton shape design with a variety of functions, wrench (4,5,5.5,7,8,10mm), bottle opener, crowbar, can also be used as an emergency self-protection tool. 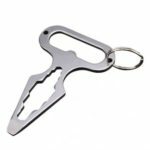 Delicately crafted with superior stainless steel, durable and not rusty, resistant to shedding, not easily deformed, comfortable, suitable for your survival kit. Easily connect with your key chain or harness. 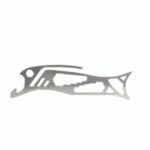 Mini-size, can be placed in your pocket or purse. 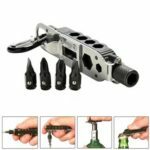 Perfectly suitable for outdoor camping, hiking, mountain climbing, survival, emergency and so on. 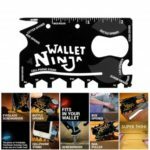 A great gift for men, boyfriend, dad, teen boys.